The The Cisco Product Security Incident Response Team (PSIRT) has published two important vulnerability advisories: Vulnerabilities in Cisco Unified Contact Center Express Cisco Application Extension Platform Privilege Escalation Vulnerability Vulnerabilities in Cisco Unified Contact Center Express Cisco Unified Contact Center Express (UCCX or Unified CCX) contains a denial of service (DoS) vulnerability and a directory traversal vulnerability. These vulnerabilities are independent of each other. Exploitation of these vulnerabilities could result in a DoS condition or an information disclosure. The The Cisco Product Security Incident Response Team (PSIRT) has published two important vulnerability advisories: Multiple Vulnerabilities in Cisco PGW Softswitch Multiple Vulnerabilities in Cisco Network Building Mediator Multiple Vulnerabilities in Cisco PGW Softswitch Multiple vulnerabilities exist in the Cisco PGW 2200 Softswitch series of products. Each vulnerability described in this advisory is independent from other. The vulnerabilities are related to processing Session Initiation Protocol (SIP) or Media Gateway Control Protocol (MGCP) messages. The The Cisco Product Security Incident Response Team (PSIRT) has published two important vulnerability advisories: Cisco Secure Desktop ActiveX Control Code Execution Vulnerability Cisco Small Business Video Surveillance Cameras and Cisco 4-Port Gigabit Security Routers Authentication Bypass Vulnerability Cisco Secure Desktop ActiveX Control Code Execution Vulnerability Cisco Secure Desktop contains a vulnerable ActiveX control that could allow an attacker to execute arbitrary code with the privileges of the user who is currently logged into the affected system. 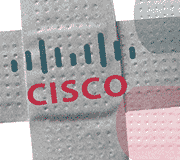 Cisco has released a free software update that addresses this vulnerability. On March 3 2010, the The Cisco Product Security Incident Response Team (PSIRT) has published three important vulnerability advisories: Cisco Digital Media Player Remote Display Unauthorized Content Injection Vulnerability Cisco Digital Media Manager Vulerabilities Cisco Unified Communications Manager Denial of Service Vulnerabilities Cisco Digital Media Player Remote Display Unauthorized Content Injection Vulnerability A vulnerability exists in the Cisco Digital Media Player that could allow an unauthenticated attacker to inject video or data content into a remote display. Vulnerable Products Cisco Digital Media Player versions earlier than 5.2 are affected by this vulnerability. Security researchers Marsh Ray and Steve Dispensa unveiled the TLS (Transport Layer Security) flaw on Wednesday, following the disclosure of separate, but similar, security findings. TLS and its predecessor, SSL (Secure Sockets Layer), are typically used by online retailers and banks to provide security for web transactions. Ray explained in a blog post on Thursday that he had initially discovered the flaw in August, and demonstrated a working exploit to Dispensa at the beginning of September. This vulnerability could impact any Cisco product that uses any version of TLS and SSL.